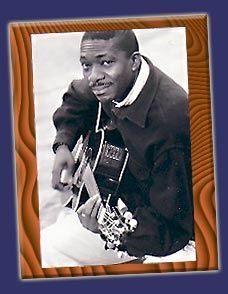 Born in Cameroon, Africa, Israël Jean-Louis Ava first emerged with a spiritual, gospel-influenced sound that was partially inspired by his upbringing. His father often wrote religious songs when he was a child, and the presence of an organ in his house led to an early exposure to music. He began to play the organ for his school band and developed chops during his early teens. When his oldest brother, a brilliant jazz guitarist, turned him onto Duke Ellington and Wes Montgomery, he understood what he wanted to do with his life for the first time. He began jamming with local jazz musicians, picking up the guitar along the way and becoming quite the virtuoso. He began starting bands and traveling across the continent. To fulfill his father's requirement, he graduated as a Computer Science Engineer in Paris before starting his ongoing musical career. Composer-arranger, collaborating most notably with Donny Elwood in the 90's, playing with Manu Dibango he also began releasing his own material, starting with 1997's Prelude. Since then, his independent albums have included 1998's "Remember J.L. Ava Ava" African gospel album, and 2002's "Spellings".